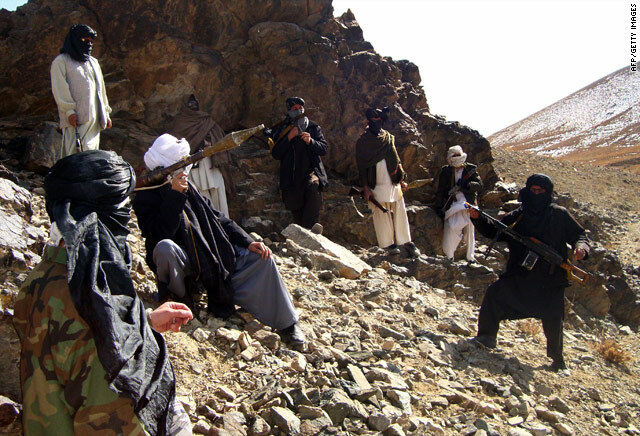 Washington (CNN) -- The arrest of a key Afghan Taliban leader represents a setback for the militant group but won't directly affect the fighting in Afghanistan, a senior U.S. military official said. Mullah Abdul Ghani Baradar, the military leader of the Afghan Taliban, was captured recently in Karachi, Pakistan, a development called a major success for the United States and a blow to the Taliban. Baradar and Taliban leader Mullah Mohammed Omar are said to have orchestrated the Taliban's military activities from Quetta, Pakistan. The U.S. official said Tuesday that Baradar and the rest of the Afghan Taliban leadership in Quetta have provided "overall strategic direction" to their fighters but not "tactical control" over their actions, so there will be little effect on Operation Moshtarak, a major offensive against the Taliban in the Marjah area of Helmand province. "The Taliban in the Marjah area will fight according to local commanders direction/guidance," the source said. Two service members died in the last 24 hours in incidents related to the offensive against the Taliban, the NATO-led military force said Wednesday. Small-arms fire killed the two, NATO's International Security Assistance Force said. The fight and other matters in the dangerous Afghan-Pakistani region will be front and center in Washington when President Obama huddles with his national security team Wednesday to discuss the conflicts in Pakistan and Afghanistan. Obama was to meet with Vice President Joe Biden; Secretary of State Hillary Clinton; Defense Secretary Robert Gates; Richard Holbrooke, special envoy to Pakistan and Afghanistan; Adm. Mike Mullen, chairman of the Joint Chiefs of Staff; Director of National Intelligence Dennis Blair; and CIA Director Leon Panetta. The arrest, a joint U.S.-Pakistani operation, appears to signal a greater willingness by Pakistan to cooperate with the United States. "I think the administration deserves kudos," said former CIA officer Gary Berntsen, speaking Wednesday on CNN's "American Morning." Reuel Marc Gerecht, another former CIA officer, called the arrest "a real blow" for the Taliban, saying it will cause the militants "pain in the short term." Baradar has been a close associate of al Qaeda leader Osama bin Laden's and has been viewed as the Afghan Taliban's No. 2 figure behind Omar. Authorities have said they hope the seizure could produce information that could help fight the Taliban and possibly lead to key militant figures, such as Omar and bin Laden.